Ivan Ross Vrána is the writer of this guest post. Ivan Ross is Principal at Aslan Ross Consulting and the Executive Director at the Canadian Expat Association. The Canadian Expat Association is a non-government community linking all Canadians living abroad under one bilingual platform. At nearly 9% of the total population of Canada, the estimated 2.8 million Canadians living abroad can connect regardless of where they are living in the world. You can reach them via http://thecanadianexpat.com. No doubt the culinary options available to Praguers and tourists alike have improved and expanded since I first traveled to the Czech capital in 1991 – two years after the Czechs emerged from 41 years of a criminal Communist regime that stifled liberty, creativity and freedom. Twenty-two years later, one can choose between German, Austrian, Italian, Spanish, French, Greek, Asian, Indian and even vegetarian (though you would be hard pressed to find a Czech who would admit to being a vegetarian) – all ranging from great to horrible. And of course there are the ubiquitous fast food chains such as Subway, McDonald’s, Kentucky Fired Chicken and Burger King (to name but a few). So, like any large European city, Prague offers a wide variety of choice. But what is really interesting is how the country is refining its own culinary traditions. I spent six months in Prague in 1991 and it was, as a Canadian, a bit of shock to realize that fresh ingredients were not always readily available. At the stores, queues that were typical of the communist regime had largely disappeared, however, it was still surprising to walk into a grocery store and realize that “choice” was defined as the one or two food items that were on offer that day. Similarly, restaurants were limited in what they could provide. But you could always find an excellent and cheap meal in a hospoda (pub/tavern). Growing up in Canada with a Czech father I remember him cooking the de-facto national dish many times. Vepřo-knedlo-zelo is roast pork with dumplings and sauerkraut, and I have to admit I was not a fan – the pork tended to be dry, the dumplings were heavy and the sauerkraut bitter. However, the first time I had it in a pub in Prague in 1991 it was a complete revelation. The pork was juicy and had the right amount of fat, the dumplings were light and fluffy and the sauerkraut was creamy. It was delicious and washed down with a cold beer (more on this subject later) it remains to this day one of the best meals I have ever had. The price didn’t hurt either – at about 50 cents Canadian which included the beer a better deal could not be found. 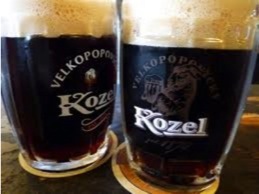 Most traditional Czech pubs offer vepřo-knedlo-zelo and there are many opinions as to which place offers the best. It is akin to trying to determine which restaurant in Canada makes the best burger or pizza. In 1991 my father and mother also traveled to Prague – the first time back for my dad after he escaped from Communist Czechoslovakia in 1950. Their first night in Prague I took them to a pub and I ordered vepřo-knedlo-zelo. Given that I had grown up complaining about the dish and now here I was eating it with gusto my father was completely surprised. To this day I do not know what was a prouder moment for my dad – that I had managed to graduate from university or the fact that I had come to love vepřo-knedlo-zelo. I came to quickly understand the Czechs love meat, especially pork and beef (somehow I should have known this given my father always made sure our freezer was always full of all sorts of cuts of beef, pork and sausages). In 1991 you could always find an excellent goulash, or a dish called svíčková na smetaně (braised beef) served with dumplings and a cream sauce. And on the rare occasions, more likely if you were invited to dinner with a Czech family, there was a roasted goose sprinkled with caraway seed. 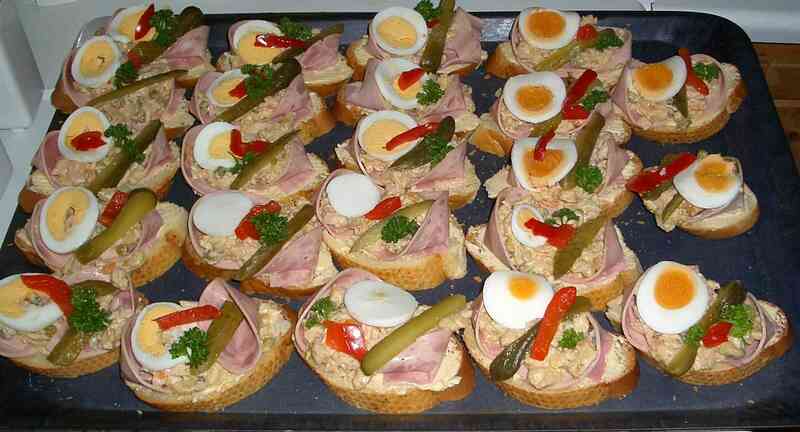 For a snack there was obložené chlebíčky – these are open-faced sandwiches made with cheese, cold cuts, half of a hard-boiled egg, pickle and a sprig of parsley. 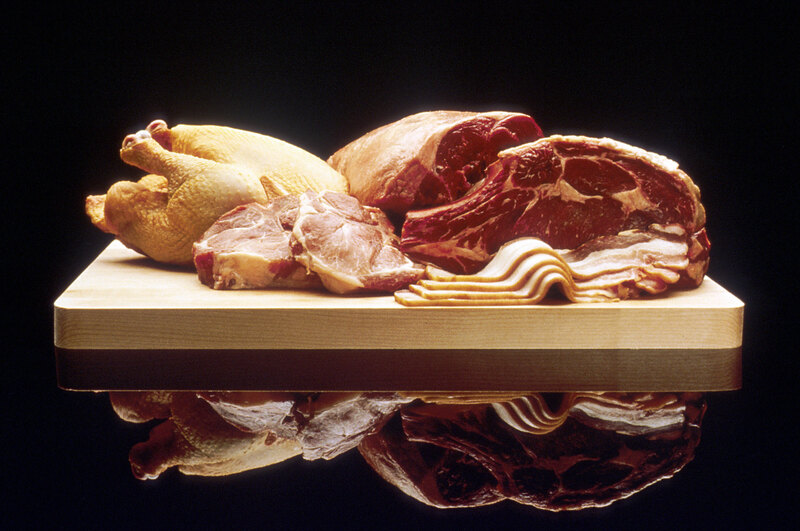 Then there are the sausages – so many different kinds there was never a wrong choice. Served with Czech bread (a type of rye) and mustard it made the perfect snack after visiting a pub or two. Obložené chlebíčky. Photo by Kehe. And finally there are the pastries. The Czechs know how to make an excellent fruit dumpling and it is often claimed the cakes and pastries that are popular in Austria and the rest of Central Europe originated in the Czech lands. I know I have only touched on a few of the main Czech culinary dishes that I experienced in 1991 but what was great about that time was that while vegetables and many ingredients were hard to find, the country still managed to find a way to produce excellent traditional cuisine. With the end of Communism, the Czechs were eagerly willing to experiment, develop and embrace what the rest of the food world had to offer. Well, prices have gone way up – everything is comparable to what it would cost for a decent meal in any other European city. Gone are the days of eating out with four friends at a pub and only costing $8 Canadian – which included the tips and drinks. There are some truly excellent fine dining options in Prague – two that I tried were the Café Savoy and the Café de Paris. Both restaurants offered a combination of Czech and French cuisine and provided great service. While not cheap, the food and atmosphere were well worth the cost. Also there are a lot more places that cater only to the tourist trade – offering a typical Czech meal that is unfortunately not worth remembering. It is also a bit harder to find that good Czech pub, you have to be prepared to go off the tourist track just a bit. What’s the same? The lack of fresh vegetables. That’s not to say you can’t get any, you can, all kinds, it’s just that they really don’t feature on any menu. It is as Anthony Bourdain noted during his Prague visit: “the land that vegetables forgot”. There are two places that I particularly liked. The first place was a small café called Cukrkavalimonada (sugar, coffee, lemonade). The name is the Czech equivalent of eeny, meeny, miny, moe. It is a small modern place in the Mala Strana district of Prague. This place was great option for breakfast and/or lunch. Great coffee, thick hot chocolate and very good palačinky (Czech crepes – savoury or sweet). For breakfast I ordered the Prague which came with onions, bacon and three sunny side eggs served on a palačinky. The café also offers an excellent choice of pastries such as fluffy meringue kisses. A prefect option to start the day. The second place and my favourite was a restaurant called Lokal. We (my sister, nephew and niece) must have gone there three times in my ten-day stay in Prague. Located on Dlouhá Street, the restaurant is part of the Ambiente group which has various restaurants around Prague (they even have one in New York City called Hospoda). Make sure you call ahead for a reservation because the place is usually packed. Lokal is a modern take on the traditional Czech pub which means they use fresh ingredients and take their time preparing the meal. The first time we went there, we just ate all the appetizers on the menu – which meant enjoying refreshing cucumber salad, Prague ham, salami, head cheese and four different types of sausages. And then we finished off with fried cheese. Something I never had in 1991 but is a gut busting enjoyable snack that goes great with beer. My nephew and niece were immediate and ardent fans. For our last night all four of us went back to Lokal and my final meal was vepřo-knedlo-zelo. The first and only time I had it during this entire visit in Prague. I had consciously made the decision not to order that particular meal thinking that I would be disappointed as it would not fit with any of my memories of being in Prague in 1991. 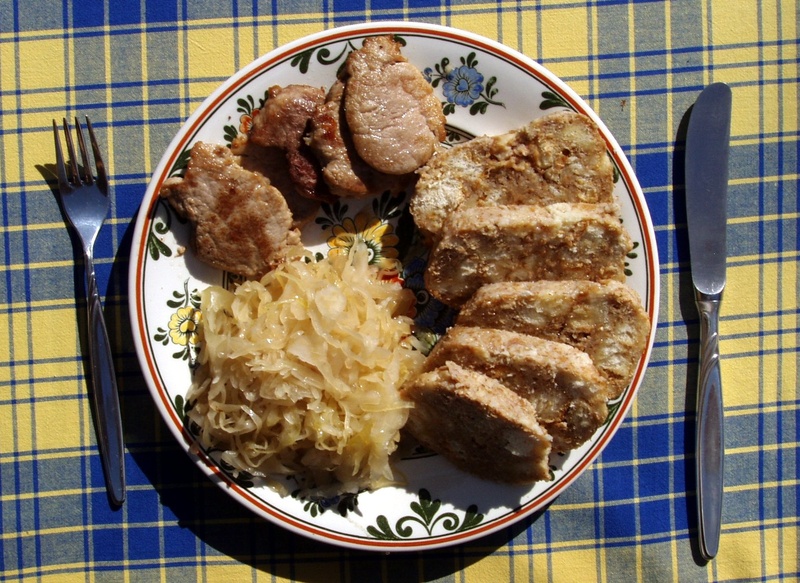 I was no longer 21 but 43 and was worried that it would not be the same – that somehow this simple meal the Czechs had been enjoying for over 200 years had changed. Irrational, absolutely. But hearing people speak Czech, remembering my father and mother and that first meal we enjoyed together, I took the chance and Lokal did not disappoint. It was excellent. Pilsner Urquell in its original glass. Photo by Mohylek. Okay – I know that many countries claim they have the best beer in the world and such a distinction is largely subjective. However, if there were a vote tomorrow, it is no surprise that my gut and taste buds are all out supporters of Czech beer. Here are some facts: The first brewery known to have existed in the Czech lands was started in the year 993 in the Břevnov Monastery. 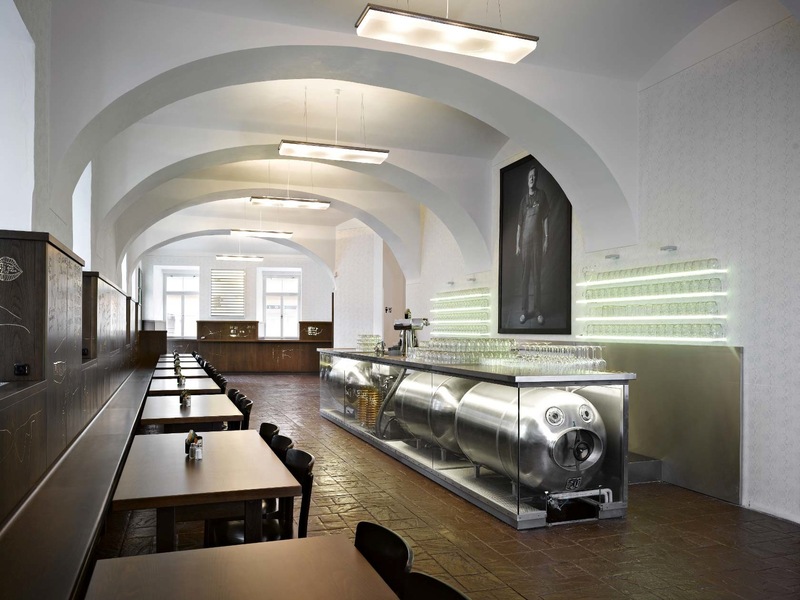 Beginning in the 12th and 13th century various Czech towns gained the right to brew beer. And, according to The Economist’s Year in Figures, the Czechs have the highest beer consumption per capita in the world. And this has been going on for over twenty years. So let’s just say the Czechs know a thing or two about beer. The Czechs like cold beer and prefer lagers, pale ales and pilsners – so if you like stouts or porters, this is not the place for you (Ireland would be better). The variety of Czech beer is staggering, every town, every district in that town, and generally every pub brews their own kind. This has remained constant – if the Communists had ever tried to mess with this type of variety no doubt they would have been overthrown much earlier than 1989. 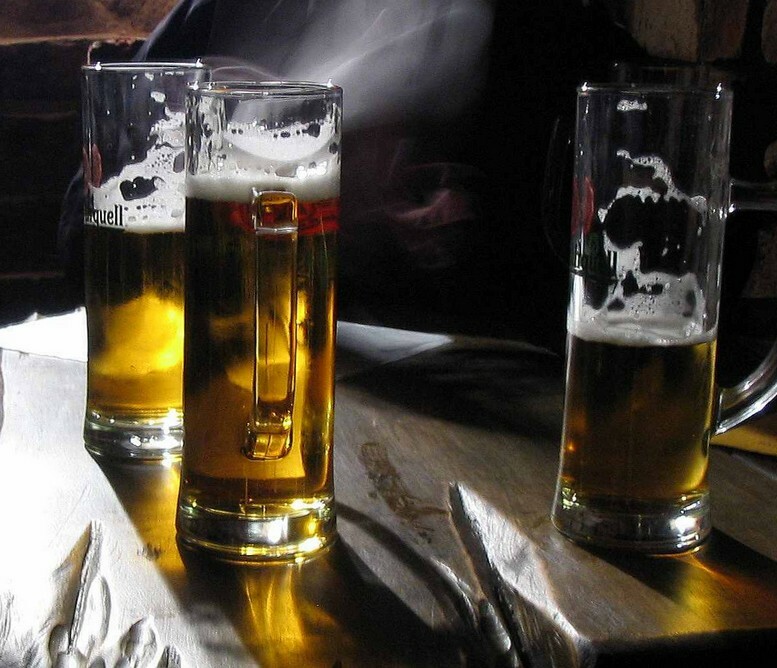 The popular brands are Pilsner Urquell, Budweiser Budvar (not to be confused with Budweiser), Velkopopovický Kozel (my favourite), Gambrinus, Radegast, Staropramen, Krušovice, Starobrno, Bernard and Svijany. And while the price in 1991 was about 10 cents a pint, today you can still get an excellent pint of beer for about $1.10. 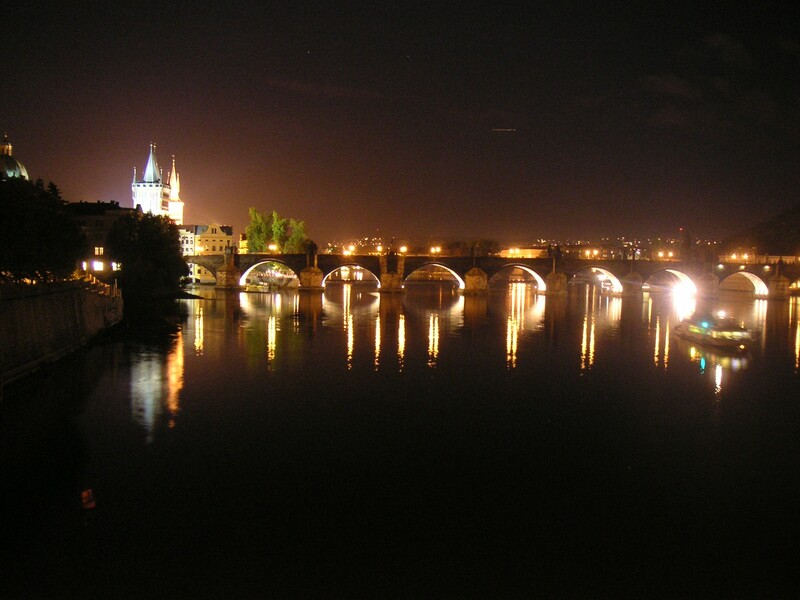 If you like beer, pork, fried cheese and sausages Prague is a great place to visit. Cannot agree more about Kozel being a great beer. When there also check out Segway Tours (yes I know a little silly) but actually a lot of fun and a great way to see the area surrounding the Castle.